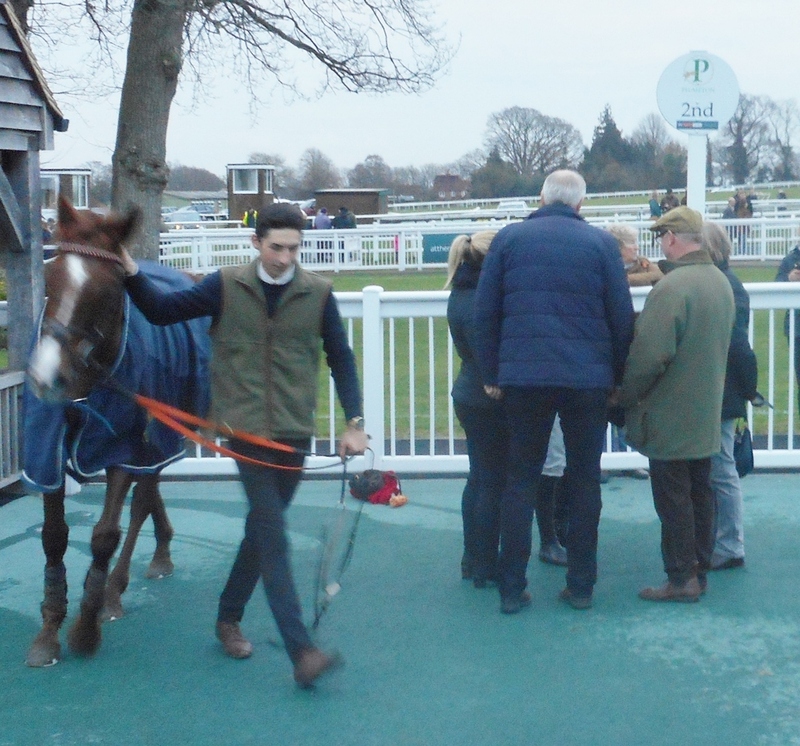 As part of birthday celebrations, Hab Sab ran in Richard Dean's colours at Plumpton this afternoon. Making his seasonal reappearance under Tom Garner he was ridden close to the leaders in the 2 mile handicap hurdle. The ground had softened in the afternoon's rain and Hab Sab seemed to relish the conditions and he was still galloping through the gloom as others dropped away. He was still close up turning for home and was able to delight his connections by taking third place. Hab Sab (left, pink cap) finishing third. Breden came very close to making it three wins in a row when he finished second in a Class 2 handicap over a mile at Lingfield yesterday under top weight. 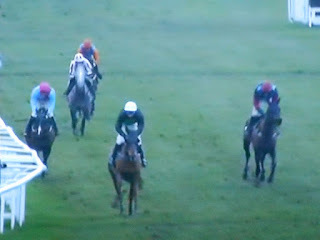 Whether by design or circumstances Robert Winston found himself at the rear of the six runner field in the first furlong. He had to sit there until the finishing straight where he hoped a gap would appear. Unfortunately one lightly weighted horse (Breden was giving him almost 2 stone) was already making the best of his way home and though Breden was able to reel the others in he could never get on terms with the leader who held him by a length at the line. Jack Rounds The Day Off Nicely. Mr Jack concluded a busy day for the yard at Plumpton in style. After Royal Concorde, Madam Anna and Uallrightharry had furthered their experience in novices' hurdles, Mr Jack finished 2nd in the concluding handicap hurdle. Tom Garner had him quickly to the front and he engaged in a duel with a rival that included bumping at a couple of hurdles. Jack was not intimidated and asserted supremacy over this rival as the rest of the field closed three out. He was collared by one of the joint favourites but ran on well to keep second place. Mr Jack cools down while connections discuss the run.